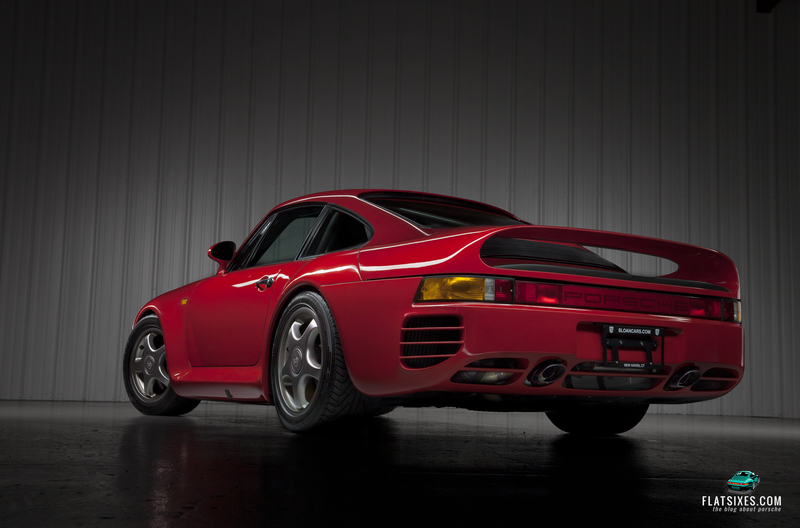 The 959 has long stood as the introduction to the modern supercar. It introduced technological features that were unheard of in the automotive market, and provided an excellent platform for Porsche to prove their engineering mettle. On top of that, Porsche's 959 was not only classically beautiful, but most importantly it was usable. Most supercars of the day (I'm looking at you, Ferrari!) featured terrible ergonomics, torturous power delivery, and a tendency for breaking down if you looked at them wrong. Contrary to popular convention, the 959 was built using what amounts to the standard 911's galvanized steel body shell with fiber (Kevlar or fiberglass) reinforced plastic fenders, rocker covers, roof panel, and aluminum crafted front hood and door skins bolted on. Compared to Porsche's other ventures in the 1980s, particular attention was paid to aerodynamic efficiency in the 959, including a flat bottom, resulting in a 0.31 coefficient of drag (compared to the same year 911 Turbo, which scored a 0.40 Cd). That slippery shape was also aided with a very powerful engine. The 959's 2.85 liter flat-six shared little with the 930's 3.3 liter, and was more closely related to the one found in contemporary 956/962 racers featuring water cooled cylinder heads, dual overhead cams, and 4 valves per cylinder. Using a pair of turbochargers, one aiding the other, this Porsche produces 450 horsepower and 367 lb-ft of torque. All of this conspired to shove the 3500-some pound 959 to 62 miles per hour in 3.9 seconds, and on to a top speed of 197 miles per hour. While the 959 is an extremely rare car with only 337 produced, this particular example is a 1988 "Sport" model, of which there were only 29 produced (37 if you include the 8 cars built from spare parts), making it a doubly difficult to find model. Over the "Komfort" models, the 959 Sport versions have different seats incorporating racing-style harnesses, A/C delete, rear seat delete, an "S" steering wheel, factory leather-wrapped roll bar structure, and a more standard-fare coil over strut suspension, rather than the height-adjustable air suspension. A rumor that occasionally pops up posits that the 1988 Sport production schedule was originally intended to supply a 1-make racing series in North America. The rumor also states that when the first of them arrived at the ports, it was turned away for being "too nicely appointed to be a racing car". 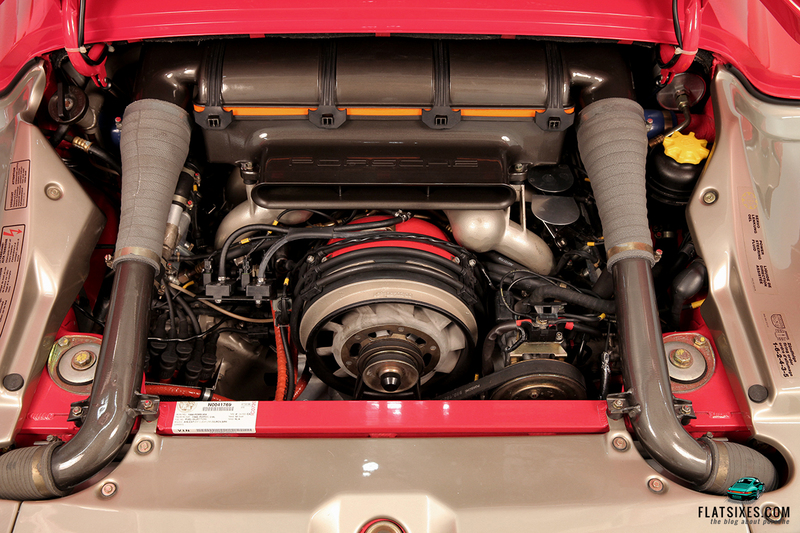 In order to be legal for use in the United States, the 959's engine had to receive a few opportune updates to modern componentry. New Garrett ball-bearing turbochargers and redesigned wastegates were installed for additional power and increased reliability. Cam timing has been optimized, the fuel system upgraded, an EGR system added, modern engine management implemented, and an improved ignition system creates better spark. A new stainless exhaust system and intake runners have been crafted specifically for federalization requirements, and they have certainly been effective. The car, now emissions legal, creates an astonishing 575 horsepower (125 more than stock), and doesn't suffer turbo-lag quite as bad as it did in 1988. Handling the extra power, an improved clutch disc and pressure plate have been employed, and features the added benefit of superior clutch pedal feel and actuation. 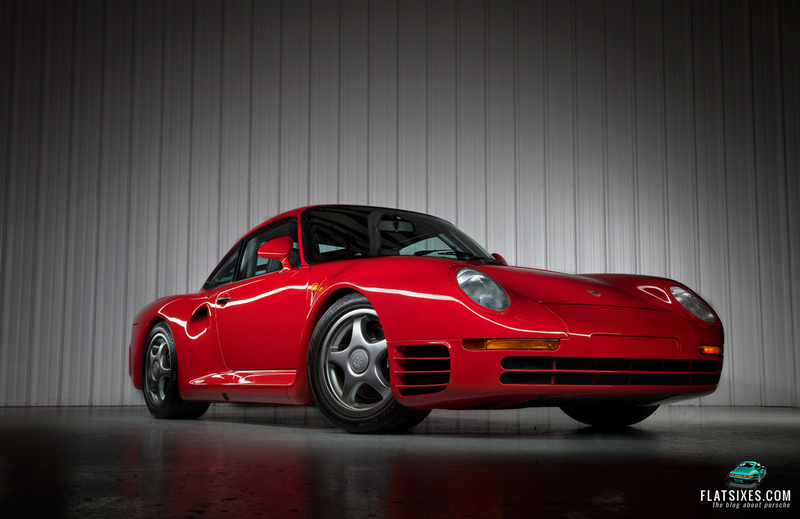 This 959 is posited to be the only 959S available for sale anywhere in the world, and features all updates in order to meet 50 state emissions standards. The Porsche also includes all "Show and Display" legal paperwork, making it easy for the new owner to register the car in their state. Gooding and Co. will be offering this particular piece as lot #36 in their Amelia Island sale next month. Pre-auction estimates predict the car, which has traveled a mere 5,956 miles in its life, will end bidding between $900,000 and $1,200,000. Those are pretty big numbers for a 959, but this an extraordinary 959. “G” gear is very low, and stands for “Gelände”, the German word for off-road. In comparison with a Carrera GT, the 959 is much shorter.